The Big Dawgs of water skiing had a successful stop in Lima, Peru and experienced fantastic conditions on the site of Bujama Lacus; A beautiful ski site surrounded by mountains and tropical landscape and top hospitality. 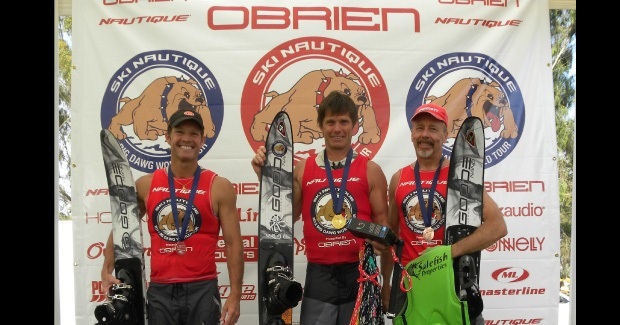 The top 5 skiers in the Latin Tour series and Non-Latin Skiers who achieve a score of 3 @ 10.75 meters/39 off in Peru will be qualified for the finals held at Okeeheelee Park in West Palm Beach, Florida. The final two came down to a battle of Dave Miller vs. Kuykendall and the energy level was starting to fade as this was a 35 off start and the 5th set of the weekend. 39 off/10.75 meters did not go down this weekend but it was close with Dave Miller cranking his turns to get 5 at 35 and Todd following with only 2.5 at 39/10.75 declaring Dave Miller as the Big Dawg. Dave was presented with a headset by Polk Audio and Masterline rope. Thank you to all the sponsors, officials, tournament hosts and skiers. 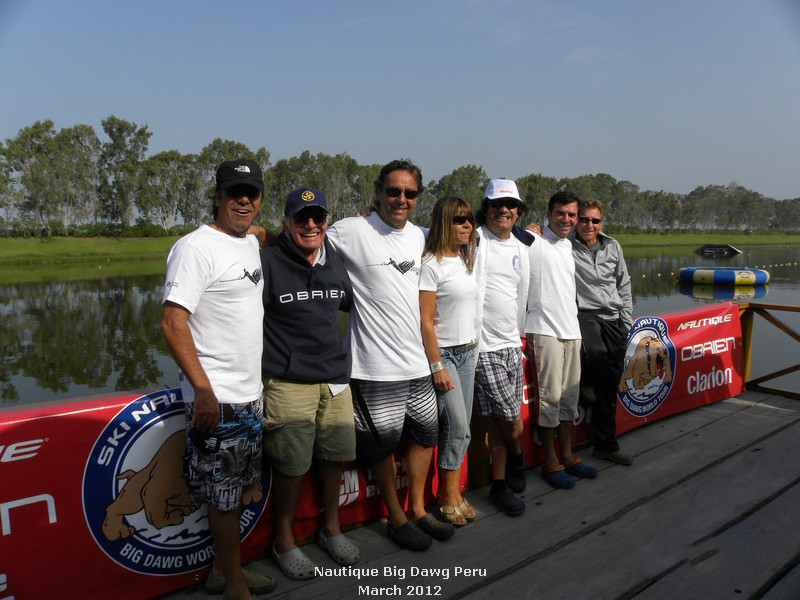 A special thanks to Juan Carlos Culglievan for his wonderful hospitality and help to organize the Nautique Big Dawg World Tour in Peru. 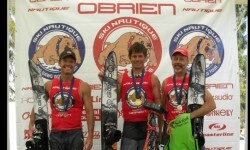 There were a lot of happy faces Saturday as some of the Latin American skiers ran their personal best behind the Nautique 200. As we speak, there is a massage therapist that just arrived on site to offer a well-deserved massage to the skiers. The Latin American tour has a festive atmosphere with music, food and skiers that are always in a good mood. The perfect weather, sunshine and light breeze and temperature may contribute to the relaxation. Dave Miller is still worried about his next meal, John Shealy is analyzing his 3rd round strategy, and Todd Kukendall is hold up well with his injured ankle from the Michigan Big Dawg last year. A wrap of black duct tape is all it takes to hold bones together. The competitors are very appreciative of all the sponsors who helped to contribute to the Nautique Big Dawg Series Presented by O’Brien. 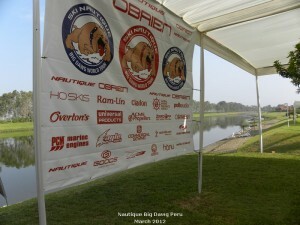 The Nautique Big Dawg in Peru is ready to go. On Friday, the red and black Nautique 200 was busy pulling skiers all day for practice. The ski site is all dressed up with banners, tents and bright blue skies. It doesn’t rain in Peru, so no chance of a rain delay this weekend. A few highlights from Friday were Dave Miller talking about ceviche for hours, John Shealy not being able to get the blue dye off his hands from the TSA, Todd Kuykendall carefully inspecting the food, Dave Goode trying to encourage his competitors to drink more pisco sours and Rubin Rosenburg translating. John Shealy was adopted into the Latin tour stop with a new name of Juan Cheely. Greg Davis got in on the action with getting a van stuck in the grass, but thanks to some very skilled helpers, the van was pulled out. This is the reason you keep old ski ropes around. Once again, the beach houses are available to rent and the sound of the waves crashing can sooth your nerves for the competition. In this area of Peru, there are beautiful beaches everywhere with surfers taking advantage of the breakers. Now what about the skiing? The conditions are great, the water is about 80 degrees F and the air temperature the same. The water has a little salt in it, so it may be different and some skiers and they may need to adjust. Everyone skied well in practice and the athletes are looking forward to an exciting weekend of good skiing, sportsmanship and sharing this experience with others who love the sport and the Big Dawg Series. A special thanks to sponsors and volunteers. We couldn’t do it without you! The Big Dawg World Tour is exclusively towed by the Ski Nautique 200, the world record breaking Ski Nautique 200 is available in open or closed bow, it’s the ultimate three-event tournament ski boat. 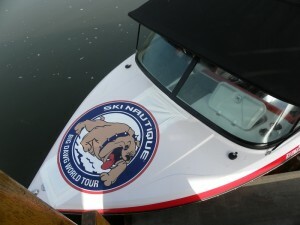 Visit Nautique.com and sign up to receive the latest updates. 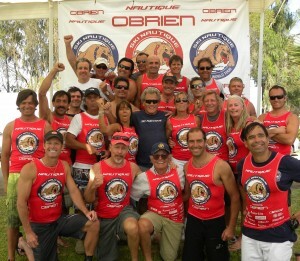 O’Brien is setting the standard, breaking world records, providing fun on the water for the entire family since 1964, visit Obrien.com to check out the entire line of watersports gear!